Oscar Wilde was a consumer modernist. His modernist aesthetics drove him into the heart of the mass culture industries of 1890s London, particularly the journalism and popular theatre industries. Wilde was extremely active in these industries: as a journalist at the Pall Mall Gazette; as magazine editor of the Women’s World; as commentator on dress and design through both of these; and finally as a fabulously popular playwright. 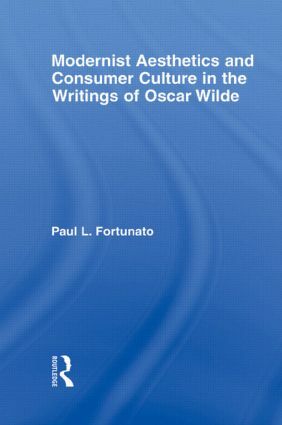 Because of his desire to impact a mass audience, the primary elements of Wilde’s consumer aesthetic were superficial ornament and ephemeral public image – both of which he linked to the theatrical. This concern with the surface and with the ephemeral was, ironically, a foundational element of what became twentieth-century modernism – thus we can call Wilde’s aesthetic a consumer modernism, a root and branch of modernism that was largely erased.